Ramon Patriarca is a political prisoner in Cebu who has been in jail for the past three (3) years. 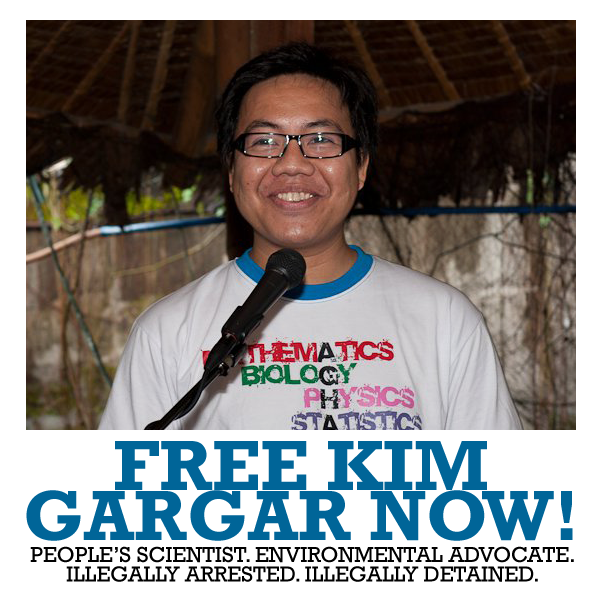 He was abducted in February, 2009 and was not immediately brought to a regular detention center but to CENCOM. There he was illegally detained, tortured, incommunicado for several days. The ordeal was a nightmare for him. 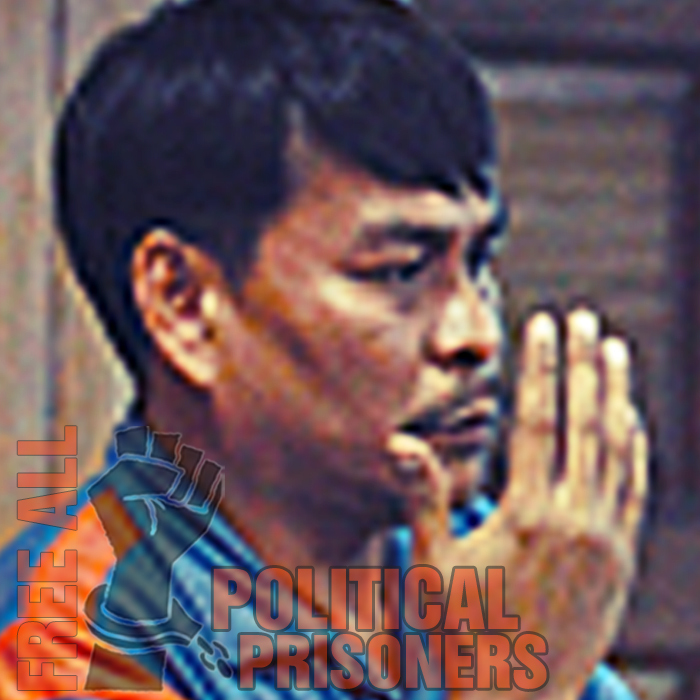 After staying for sometime at the Danao City Jail, he was able to win the hearts of fellow prisoners and would even join him in their fasting and hunger strikes. Recently, he was chosen by the whole inmates of the Danao City Jail to be their “commander” (over-all head).This has somehow alarmed the authorities. Just recently without him nor his counsel being informed, he was surreptitiously transferred from Danao City Jail to CPDRC but CPDRC would not admit him so he was brought to CENCOM. Cencom was not ready to accommodate him and asked for a 10-day grace period to prepare the stockade for him. Meanwhile CenCom brought him to CPDRC where he was placed in a bartolina in isolation and visitors were not allowed to see him. International visitors like Gary King of AI-Minneapolis, his brother- a retired police, human rights groups were barred from seeing him. Meanwhile Patriarca, to dramatize his protest made a hunger strike. Pestered by the protest acts inside and outside jail, the governor without waiting for the 10 days ordered Patriarca to be brought back to CENCOM. Patriarca and his supporters and friends here and abroad demand not just his transfer to a regular detention center but his immediate release. He is an NDF consultant and a JASIG holder. Rebellion case against him is the only one left as his earlier illegal possession of firearms had already been dismissed. He has filed a case against his military abductors for torture to claim P1.4 million in damages.